The Maltipoo, as the name suggests, is a hybrid breed that resulted from the crossing of a Maltese and miniature or toy Poodle. Maltipoo’s were originally bred in the United States as a designer dog. Breeders wished to bring the desirable characteristics from both parent lineages to create the ideal companion dog. Breeders hoped to bring the intelligence, affection, and trainability of both the Poodle and the Maltese to the Maltipoo breed, while retaining the Poodle’s low amount of shedding and hypoallergenic, nearly odorless hair. Like all hybrid dogs, the mixture of genetics never occurs seamlessly or perfectly, so Maltipoo’s can have any of the characteristics, both good or bad, of their parent breeds. Luckily, the Maltese and Poodle are both loving and intelligent breeds, so by and large the Maltipoo is an ideal choice for a small sized companion. Maltipoo’s are classified as either teacup or miniature, depending on the size. They are a very small breed that typically weighs somewhere between 5 and 15 pounds, and stands about 14 inches tall on average. Maltipoo clubs are now attempting to initiate breeding standards to structure exactly what constitutes a Maltipoo in order to gain recognition with the AKC. A 1st generation Maltipoo is bred from Poodle and Maltese parents. A 2nd generation Maltipoo is bred from Maltipoo and Maltipoo parents. A 3rd generation Maltipoo is also bred from two Maltipoo parents, but those parents are required to have both been bred directly from a Poodle and Maltese. While this can seem confusing at first, it is the nature of hybrid breeds. 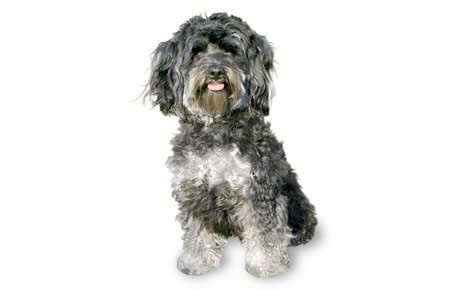 In order to breed towards desirable traits, national breed organizations need to set standards in order to avoid admixture from different breeds, while differentiating the Maltipoo breed from other hybrids such as the Cockapoo. If one word could be used to sum up the Maltipoo, it would be: adorable. The Maltipoo breed is tiny and cute, and it is hard not to fall in love with their beguiling eyes and expressive face. Maltipoo’s pack a lot of personality into their small size. As a hybrid, their coat can come in the entire range of colors from both parent breeds, allowing for quite an assortment of possible color combinations. Maltipoo’s were bred primarily as a companion dog. Their small size lends themselves towards living in urban environments, and they are ideally suited for apartment living. These are not outdoor dogs by any stretch of the imagination. Maltipoos have an affectionate and loving personality. They form a strong bond with their owner and love nothing more than cuddling up next to them for hours at a time. This strong bond does have a drawback; Maltipoo’s are known to suffer from separation anxiety, and so should not be left alone for a long time. Breeding hybrid dogs is a tricky process, and so unlike purebred breeds, there is no guarantee that your Maltipoo will have all of the desirable traits that the original breeders intended. Despite this qualification, Maltipoo’s are generally regarded as a friendly breed that stays a playful puppy throughout their life. Maltipoo’s take well to training. Both the Maltese and Poodle lineages contain an abundance of intelligence, so Maltipoo’s can readily understand commands. Their eagerness to please their owners is evident in the zest they take to training. Maltipoo’s are sensitive dogs, so scolding is not recommended. The use of positive reinforcement for good Maltipoo behavior will have the best results in a training course. Maltipoo’s are also known to be quite vocal from a young age, which can be a negative behavior in a dog intended for apartment living. Owners and breeders recommend beginning training early to limit your Maltipoo’s barking. Even with training, however, your Maltipoo may bark when left alone for too long, so taking your lifestyle and amount of time spent at home before bringing a Maltipoo into your family is highly recommended. Maltipoo’s will love a daily dose of moderate exercise. Moderate exercise for a dog of this size can be considered a short walk around the block, or a romp in a local park. It may not seem like much to us, but for those little legs it can be quite a workout! Afterward, your Maltipoo will most likely thank you by cuddling up against you for as long as you will sit still. A healthy breed, a Maltipoo lifespan generally ranges anywhere from 10-13 years on average. Being a breed that is not recognized by the AKC, it is hard to estimate the exact popularity of the Maltipoo. However, it is undoubtedly a popular breed that continues to grow. It’s small size and winning personality traits, combined with its intelligence and strong bond with the owner make it a great companion for many people. It is particularly suited for retired individuals or those that spend a lot of time at home. In order to keep your Maltipoo’s coat healthy and lustrous, a diet with high-quality components is recommended. Look for foods with good quality proteins and vegetables, without any soy, corn, or wheat fillers because these can cause Maltipoo allergies. 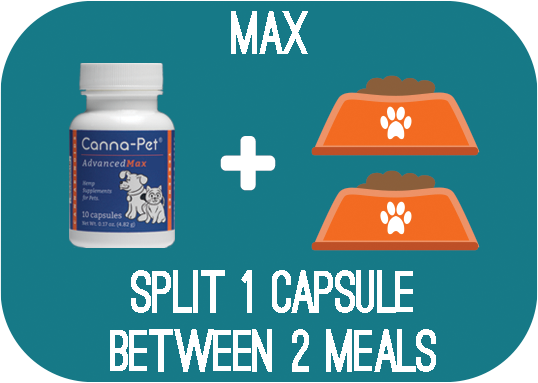 You should be feeding your Maltipoo anywhere from 2/3 to 1 cup of dry food a day, depending on their weight. This should be split into two even meals to avoid bloating and overeating. Be sure to watch your Malitpoo’s weight, as their energy levels can lead to them becoming overweight, which can result in health problems. Maltipoo’s need regular grooming to keep them at their cutest. Their coat should be brushed multiple times a week at a minimum. If your Maltipoo inherits their Poodle parent’s curly hair, daily brushing may be necessary. Additionally, bring your Maltipoo to a groomer between every 4 to 6 weeks to ensure optimal coat health. Maltipoo’s can also develop tear stains around their eyes, which can be cleaned with special solutions. Maltipoo owners will need to regularly check and clean their dog’s ears to avoid ear infections, and be sure to trim their nails regularly. Lastly, good dental health will require regular brushing with an appropriate toothpaste. Are Maltipoos Good with Children? Maltipoo’s do well with all children, but are recommended only for houses with older children. Maltipoo’s are so small that they can be inadvertently hurt if they are caught underfoot of playing children. If your Maltipoo is playing with children, make sure that the children know to treat it gently and respect it’s small size. Progressive Retinal Atrophy: Progressive retinal atrophy (PRA) is a disease characterized by deterioration of the photoreceptor cells of the eye. This deterioration typically happens slowly. The first sign of early PRA will usually be difficulty discerning objects in dim light. Eventually, this will progress to full loss of vision. PRA is a hereditary disease, meaning one or both of the Maltipoo’s parents must genetically carry the condition. When acquiring your Maltipoo, inquire with the breeder about whether either parent lineages suffer from PRA, as it is an inherited disease. Patellar Luxation: Patella luxation is a condition where the kneecap can easily dislocate during activity. This condition can be extremely painful. Miniature and teacup varieties of breeds are the most prone to developing patellar luxation, so Maltipoo’s are at an elevated risk factor for this condition. Be mindful if your dog suddenly develops a limp during play or exercise, or if you see them shaking a limb or not putting weight on one. These can all be signs that they have dislocated their kneecap and should be brought to a veterinarian immediately. Epilepsy: Epilepsy in dogs is a condition characterized by seizures that recur over time. The most common diagnosis of epilepsy in dogs is idiopathic epilepsy or epilepsy that has no known underlying medical cause. Symptomatic epilepsy is the diagnosis reserved for cases where seizures are caused by an underlying medical condition, such as liver disease. Seizures in dogs are typically tonic-clonic in nature, meaning the dog exhibits some outward motor function sign of a seizure taking place, such as spasmodic movement of the legs. Tonic-clonic seizures are also generally accompanied by a loss of consciousness and are followed by a period of mental exhaustion that can last many hours. If you believe your Maltipoo may be having a seizure be sure to have them assessed by a veterinarian to ensure that there is no underlying medical condition for which the seizure is a symptom. White Shaker Syndrome: White shaker syndrome, or simply shaker syndrome, is a condition that primarily affects small white dog breeds. Since both the Maltese and Poodle are genetically predisposed towards this condition, the Maltipoo has an elevated risk factor for developing it as well. Shaker syndrome is characterized by full body tremors. These tremors usually are present from adolescence to young adulthood, typically between 6 months to 3 years of age. The tremors progressively worsen until they remain constant, but will usually diminish once treatment has begun. Shaker syndrome is treated with medication, and generally treatment brings about a full reversal of symptoms. Legg-Calve-Perthes Disease: Legg-Calve-Perthes disease (LCPD) is a condition that primarily affects small dog breeds, particularly toy and miniature varieties. Miniature Poodles are genetically predisposed towards this condition, so Maltipoo’s are at a higher risk factor as well. LCPD is a disease where the head of the femur, or the long bone of the hind leg, begins to disintegrate. As the disease progresses the function of the hip joint, where the head of the femur sits in the pelvic girdle, steadily declines. Although the exact cause of LCPD is unknown, it is believed to be due to an inadequate flow of blood to the femur which causes degeneration and inflammation over time. Signs that your Maltipoo may be suffering from LCPD include gradual, but increasing, lameness in the hind legs, muscle deterioration in their hind quarters, and evidence of pain. LCPD is treated through a surgical procedure that rebuilds the head of the femur and allows it to ride in the pelvic girdle correctly.